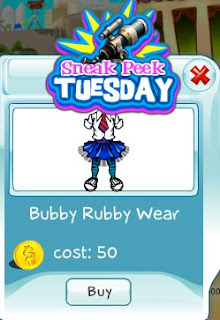 This week's Sneak Peek Tuesday feature is the Bubby Rubby Wear. Not too sure what this thing is, so you'll have to try it on yourself to find out! Get this hot item today before the sneak peek ends.